In the wake of the recent earthquake and tsunami in Japan, Jack Johnson has announced his support of relief and recovery efforts in the region. Johnson is donating $50,000 to GlobalGiving’s Japan Earthquake and Tsunami Relief Fund to help residents of the affected areas. The non-profit is distributing funds to Save the Children, the International Medical Corps, and other organizations on the ground to provide relief and aid to victims. While traveling in Japan as part of the To The Sea tour, Johnson and his crew were in Osaka when the earthquake struck on March 11. The concert in Osaka took place as scheduled hours after the massive earthquake, as television images of the powerful tsunami began streaming in, revealing the magnitude of the devastation. Sendai, one of cities hardest hit by the tsunami, was the next concert stop scheduled on the tour. The day following the earthquake and tsunami, Johnson canceled plans to travel to Tokyo for a media event because of rising concerns about the safety of the Fukushima nuclear power plant. The band and crew remained in Osaka until the decision was made to postpone the remainder of the tour due to the tragedy. Postponed shows include Zepp Sendai, Budokan, Zepp Fukuoka and Studio Coast Tokyo. Johnson is encouraging his fans to support relief and recovery efforts in any way they can. To learn more about GlobalGiving’s Japan Earthquake and Tsunami Relief Fund, click here. In addition to supporting GlobalGiving’s earthquake and tsunami relief in Japan, Johnson’s To The Sea World Tour is collaborating with over 150 hand-chosen community groups around the globe as part of Johnson’s All At Once Community. 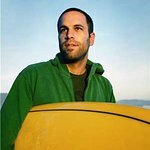 Jack Johnson is donating 100% of his To The Sea tour proceeds to charity.